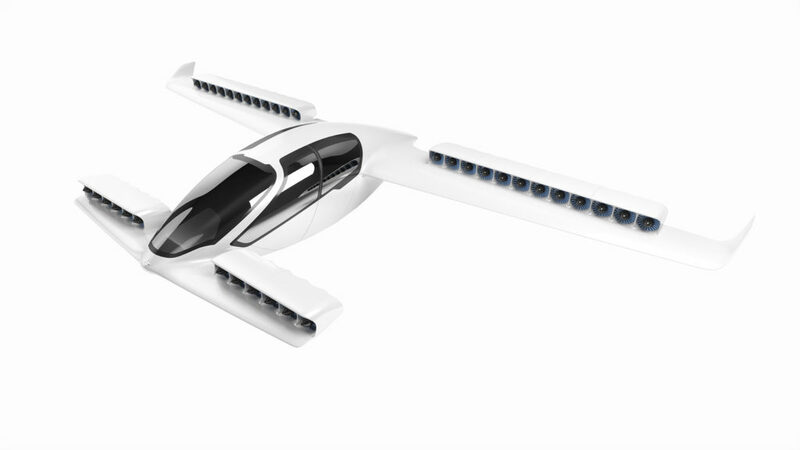 Lilium GmbH is based in Munich, the company that recently attempted a successful maiden flight of world’s first ‘electric jet’ and in my opinion this is the second major breakthrough after Tesla’s success in bringing long-range electric vehicles into the mainstream. Founded in 2015 by Daniel Wiegand and three academic fellows from The Techical University of Munich. Lilium is relatively a new & small company to achieve such a milestone. But as Simon Sinek puts it together, it’s the “why” that makes great things happen not the resources alone. 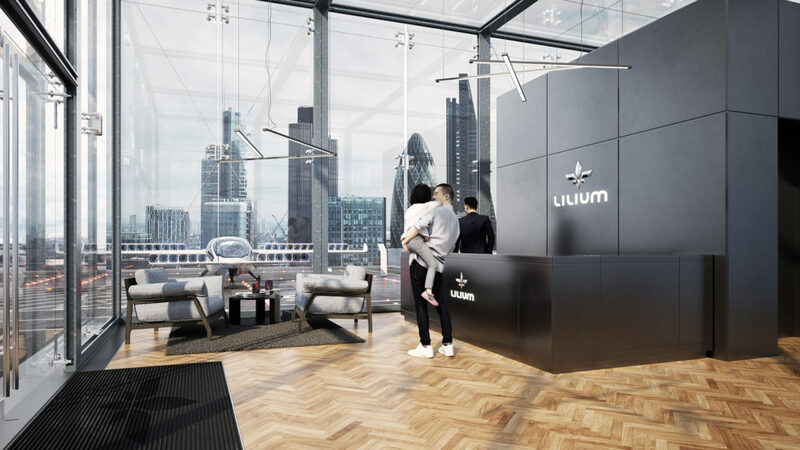 Last year Lilium secured a funding round of €10 million from the venture capital firm Atomico in order to multiply their efforts towards the critical mission. 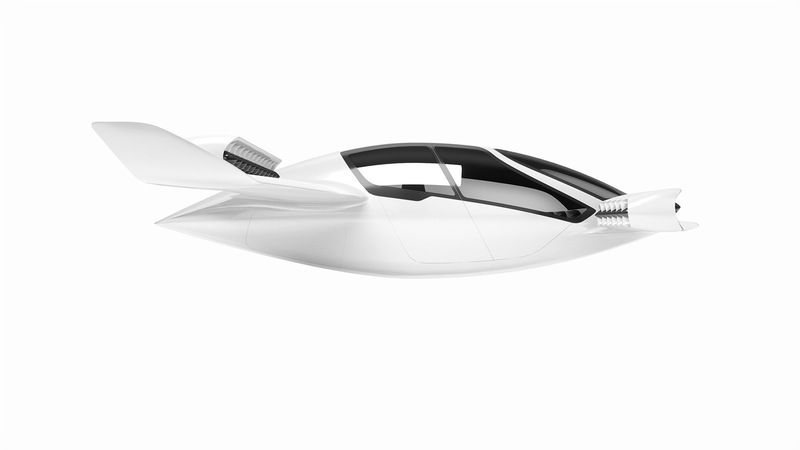 So the design concept of the electric jet by Lilium is not a traditional one as it looks like a flying car from the future. 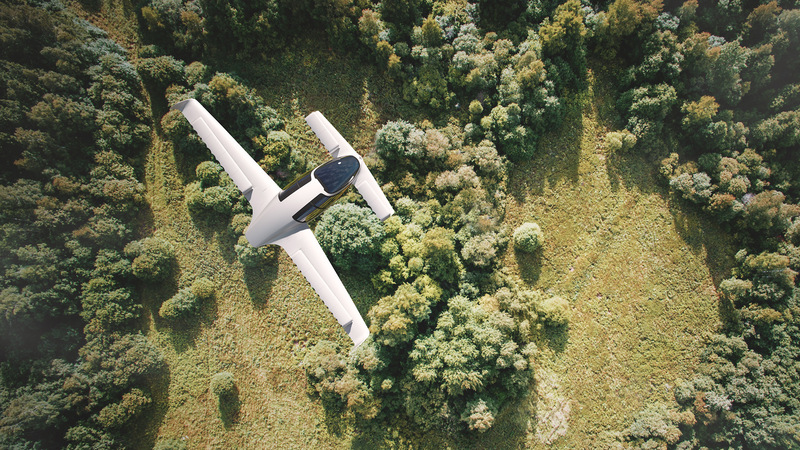 We can also refer to it as a super-fast flying car because of it’s capacity of only 5 adults for the production version on which Lilium has started working after the success of the two-seater prototype last week. The jet is capable of Vertical Take Off & Landing (VTOL) which basically is the result of 36 electric jet engines mounted to its 12 moveable flaps. At the time of take-off and landing the jet engines point downwards to create the needed lift for take-off and safe landing. 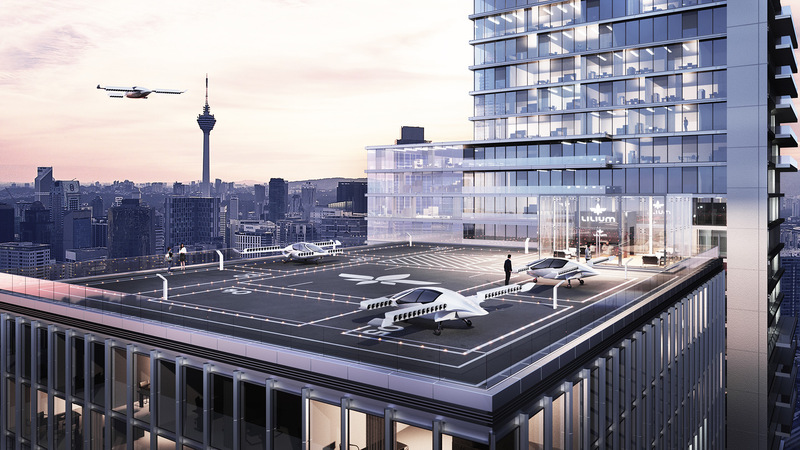 Yes you see the gull-wing doors on the Lilium electric jet in the above picture. Boarding and exiting the Lilium jet would be as comfortable as in a Tesla Model X.
OK so much for the design concept and computer-generated images, let’s see how the first flight went for the all-electric jet in the following video. The two-seater prototype executed a range of complex maneuvers, including its signature mid-air transition from hover mode to wing-borne forward flight. 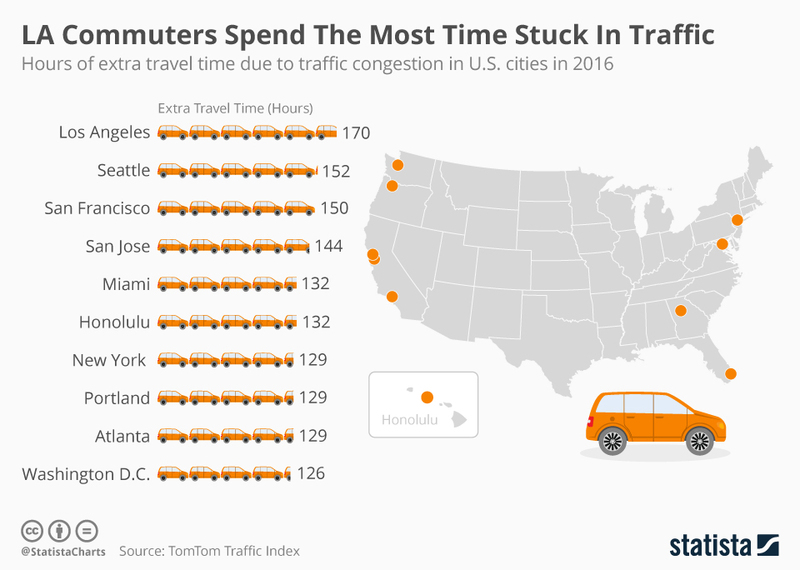 Mega cities around the world have congested traffic as a routine. Hundreds of valuable hours a year are wasted in traffic jams alone. So Lilium wants to bring a shift to this situation by saving daily commuters several dozens of hours a year each. 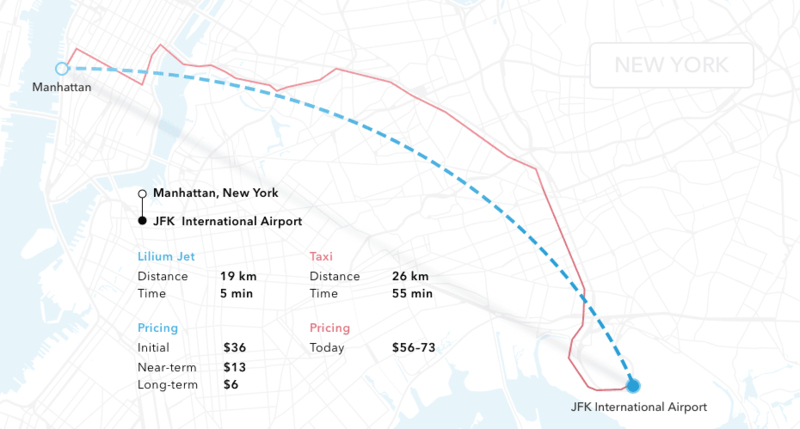 As they show in the following example you can reach JFK International Airport from Manhattan in 5 minutes using a Lilium electric jet instead of 55 minutes by road in a Taxi and it will be a less financial burden as well. Take-Off/Landing Vertical Take-Off & Landing (VTOL). No need of runways. Lilium says Safety is their 1st concern and the 2nd one as well. 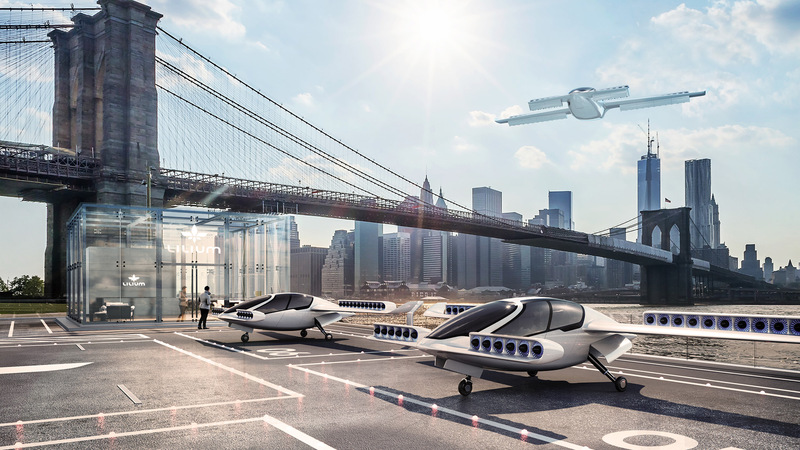 The design and engineering of the Lilium electric jet has brought new levels of safety to every aspect of this next-generation mode of transportation. The best safety feature of the Lilium jet is the added redundancy of resources, be it 36 independent engines, thousands of Lithium-ion batteries packed into separate modules or a parachute for the whole plane in a situation of total failure and even then the cabin is water resistant if the emergency landing happens to be on water. Browse the below gallery for info-graphical presentation of the safety features. This is safety par-excellence by any standards currently the world has seen. In the theory he mentions that when an industry is about to be disrupted they are usually producing the most profits and the highest caliber product they have ever produced. This is why they can’t understand why they should change anything. By the time they realize, it is too late to respond to the company disrupting them. Let’s look at their future plan timeline below to get an idea of the expected disruption ! Need more for your eyes of the beautiful electric jet? We too, so check out below HD photos, click/tap on them to zoom-in, download or share (don’t forget to) !